A Leader – THIRD Time in a Row! SteelCentral Magic Quadrant Leadership has become a Riverbed tradition, especially in the NPM category. Since the first ever NPMD MQ back in 2014, Riverbed SteelCentral has been the clear leader so we’re thrilled that Gartner, in its latest Magic Quadrant, has again named us a leader. 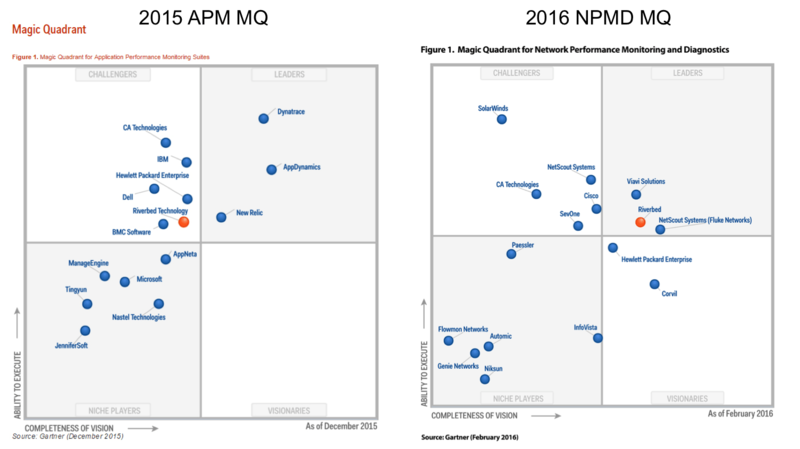 With our strong positions in both Gartner’s NPMD and APM Magic Quadrants, Riverbed SteelCentral is now recognized as the undisputed leader in end-to-end performance management across networks and applications. Q2’16 – more powerful Performance Monitoring & Troubleshooting capabilities with end-to-end visibility for Skype for business (UCExpert), significantly faster reporting performance, modernized Web UI, and troubleshooting workflows (NetProfiler). Q3’16 – simpler and more sophisticated SteelCentral platform, offering UI consolidation, simpler and clearer component fit. Expect to see more SteelCentral platform integration (i.e. 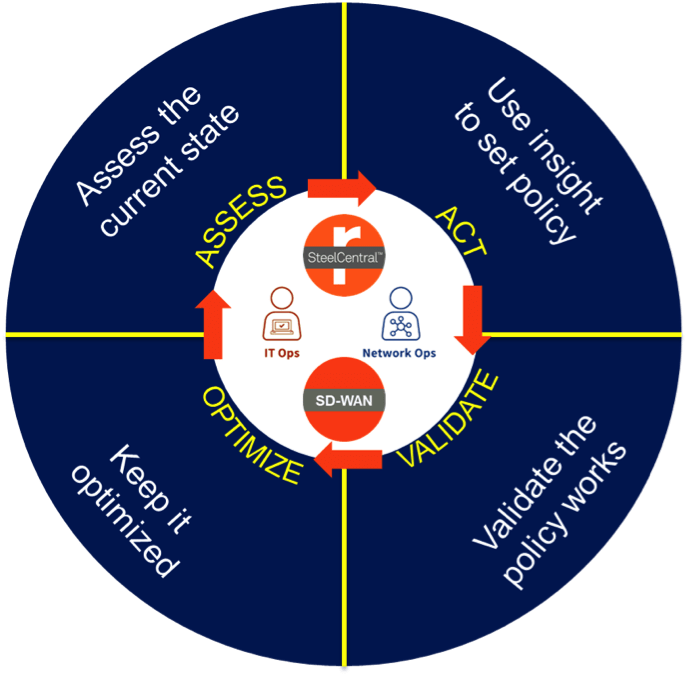 UC Expert with Portal) as well as cross-platform integration with SteelCentral in SD-WAN.